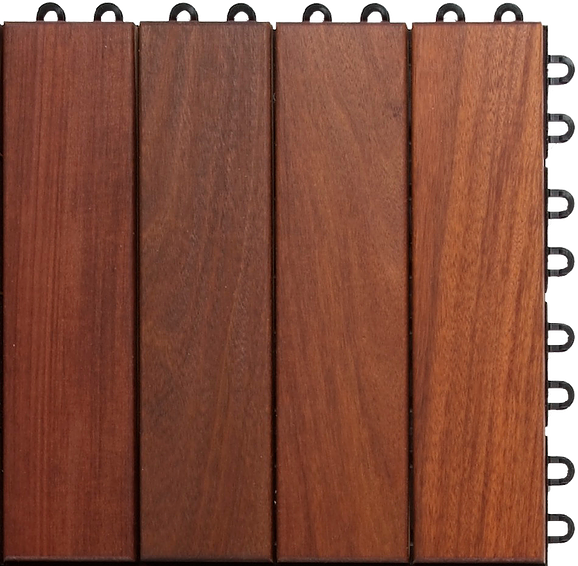 Coverdeck Systems® IPE DECK TILES are a beautiful and functional solution to cover any surface indoor or outdoor. The tiles sit 1/2” off the sub-floor allowing for instant drainage. 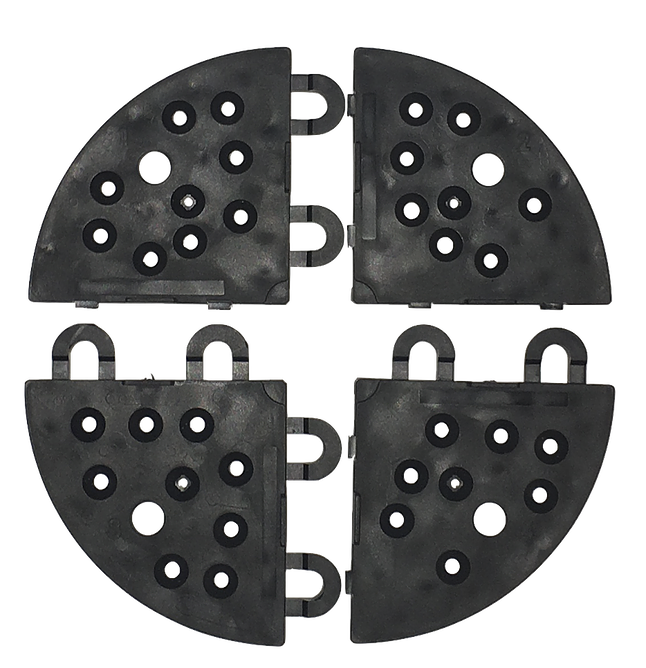 The snap together design makes installation easy and fast, requiring no special tools or adhesives. 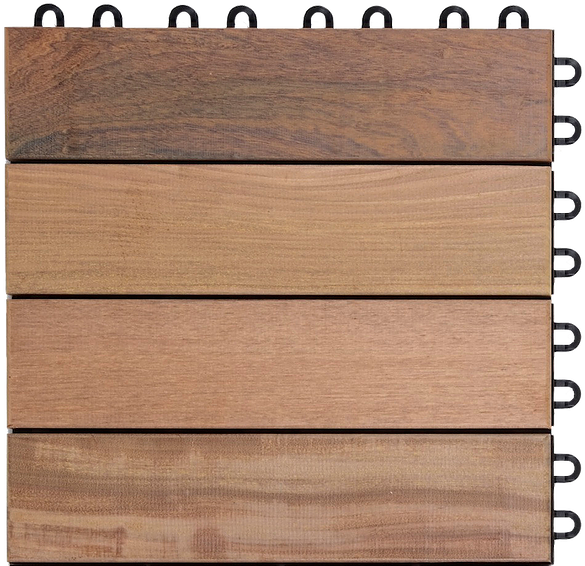 The unique design of the Coverdeck Systems® Ipe Wood Deck Tile and its 400 supporting legs provide instant drainage. Water sweeps through the tiles taking with it any dirt, sand, etc from the surface providing a self cleaning action. This flow through design also keeps the subsurface clean. The 4 slats measuring 2.93” wide are attached to the tray using 24 stainless steel screws, leaving a 1/8” gap between each slat to further promote drainage. The Ipe wood naturally resists rot, decay, insects, mold and mildew. Weather has little or no effect upon the structural integrity of the wood. Ipe is one of the highest fire rated woods. 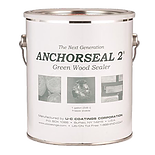 This Brazilian hardwood is one of nature’s most durable stable and attractive wood available today. Our Ipe Wood is harvested in a sustainable fashion. SUB SURFACES: Ipe Wood Deck Tiles can be installed over any solid surface. Installation on rubber roof decks may require a Protection Mat.